I don’t think I have ever talked about this experience so openly and fully. But I feel it is the perfect time to reveal this experience. It happened seven years ago in college, yet it remains imprinted in my mind. I was a Resident Advisor in my last year of college. The guy I liked was a resident, though not part of my building! He was a resident of my team member’s building and a part of the transfer student building specifically. 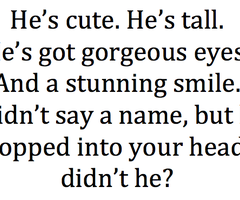 He was tall, rugged looking, dirty blond, and had the most gorgeous, sparkling blue eyes. He wasn’t the most good looking guy, but there was something very striking about him. He definitely had an aura. Immediately, I fell for him. At the time, I was working out like crazy and trying to shed off the pounds I had piled on in high school. That was the year I was regaining my confidence and feeling good about myself. All I could think about was him. I genuinely liked him a lot, but was incredibly shy around him. But as the school year wrapped up and I knew I was graduating and would move on, I felt compelled to tell him my feelings. At first, I couldn’t do it. I waved it off. But I couldn’t sleep and that thought just kept swirling in my head. One day, I ran into him in the night as as I was walking to another resident building. There was no around him and no one was with me. This was my moment. With a shaky voice and an extremely red face, I told him that I had a major crush on him and liked him with all my heart. He grinned and also turned red. Then, in a low voice, he told me he had a girlfriend! It was the most exhilarating and intense experience in my life up until that point. I felt free to express my feelings to him, but as soon as he told me he had a girlfriend, my heart sank. Later, perhaps due to immaturity with us both being young, he started to avoid me and I could tell the way his friends looked at me at the dining commons and chuckled, I knew that they knew about my confession. I felt embarrassed. He even blocked me on Facebook and I became confused and sad because I never said anything to him after our run in. I had decided to leave him alone considering he had a girlfriend. I wanted to complete my last year of college with my dignity intact. One early morning after a rigorous gym workout, I saw him with his girlfriend sharing breakfast and being loving. My heart broke into many pieces.